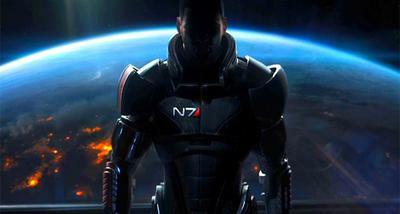 Bioware is again assuming control over the helm of upcoming single player content soon to meet injection into Mass Effect 3's already modified storyline. At a moderate price tag, one can declare ownership of the Leviathan downloadable content package. Unlike the free singleplayer modification before it, the Leviathan DLC will essentially include extra missions into the main storyline. Additionally, the Leviathan DLC will also interject its own cutscenes during the ending cutscene sequence depending on the outcome and decisions made during the DLC storyline. The Leviathan DLC withholds more than a few measly missions. Rather than quickly entertain an audience, Bioware has both ensured unparalleled combat alongside a storyline that may warrant an extra playthrough. The combat is unrelenting during the later parts of the DLC storyline. The storyline compliments itself also. Following the tracks of a being capable of easily rendering Reapers as mere mud puppies, Shepard begins his journey in a new part of the Milky Way galaxy after scientists uncovering the location of the Leviathan were suspiciously erased from the picture. With a notable dark tone, Shepard's new uncharted chapter commences. A release date for the Leviathan DLC is still anyone's guess, but Bioware admittedly assures its fans that a release will be an event soon to come. Regardless, is yet another single player DLC worth both the price tag and campaign restart? For players to effectively participate in all missions of the Leviathan DLC, a new campaign save file must be created. Will you be purchasing a DLC geared towards extending replayability for those fond of Mass Effect 3 for its game play, or will you simply leave this DLC aside?